The district recorded slightly less than 9,000 homes and condos sales in 2006. 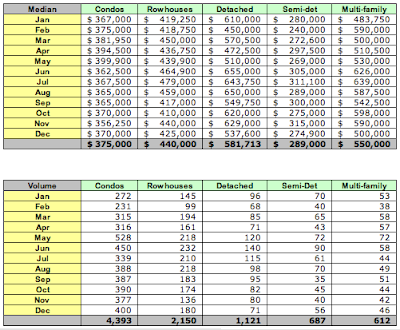 As was demonstrated each month, condos comprised about 50% of all recorded sales for the year. 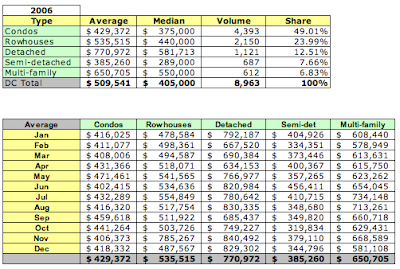 The highest number of sales for each type of housing were recorded in May or June. Average and median prices for condos peaked in May 2006; no discernible pattern is apparent for the other housing categories. All 2006 recorded sales can be viewed at DCHomePrices.com and DCCondoPrices.com.